While Archie Goodwin had the title of Editor in Chief, it was under Jim Shooter that the role really solidified. Shooter's reign as EIC is remembered for getting the creative teams much more structured, so that there were a lot less late books and fill-ins. This period also saw the focus on continuity tighten up. It was also under Shooter that the Direct Market began to gain prominence, leading to a number of innovations such as the Graphic Novel, the mini-series, and the prestige format book. While Stan Lee was the editor, from 1941 till Roy Thomas took over as Marvel's first Editor in Chief in 1972, Marvel Comics was run like a mom'n'pop operation. Stan was the boss, and did or governed all things creative. For a while during the 1950's, and again from the early 1960's through the early 1970's, his "right hand man" was Sol Brodsky, Production Manager. Besides overseeing the mechanics of getting the books created and printed, Sol handled anything legal, financial, technical or complicated, that is, anything Stan didn't want to be bothered with. In 1972, Roy Thomas took over from Stan, who had been made President. That didn't work out. The bureaucratic crap and administrative duties involved didn't suit him, so Stan became Publisher instead. By then, Sol had left for a while to start ill-fated Skywald Publications, which promptly failed. Sol needed a job, and approached Stan, but a new Production Manager had been hired in Sol's absence - John Verpoorten. Stan convinced the Cadence Board to create a new position for Sol, "V.P. of Operations." Essentially, he was Stan's right hand man again... Though there were new people at the helm, the operating system remained mom ‘n' pop. Roy and subsequent EIC's: Len Wein, Marv Wolfman, Gerry Conway, and Archie Goodwin, like Stan left the real management of the making and printing of the comics to Production Manager John Verpoorten. What did the EIC do? Well, not much in the way of editing. Each freelance writer was essentially a writer-editor. A writer was assigned a book, sometimes by the EIC, but often by John. He or she would plot the book. John Verpoorten, in almost every case, would assign the plot to a penciler, and the writer would send the plot directly to the penciler! No one in editorial saw the plot! The penciler would send the finished pencils directly back to the writer, who would write the dialogue. The dialogued pages, with balloon placement indications, were sent directly to the letterer John assigned. The lettered pages were sent directly to an inker, assigned by John. The inker sent the finished, all-but-colored pages to the office. To John. So the first time an issue of a Marvel comic book was seen by anyone in editorial was when it was given by John to the EIC or one of his troops for "proofreading." The thin Marvel editorial staff consisted of a few "assistant editors" who did things like put together letter columns and the "proofreading" of books delivered finished. Chaos ensued. A few of the books were basically okay, and after coloring, plus some minor spelling, grammar and art correx were done, were good to go. Way too many were train wrecks. Full of mistakes. Egregious continuity gaffs. Immense stupidities. Inappropriate crap. So, what did the EIC do? Design covers with John Romita or a freelancer. Write the bullpen Bulletin. Mediate disputes. Very little in the way of management, or, certainly editorial direction and oversight. EIC's were more like head writers in those days. They had enough clout with John Verpoorten to get the best pencilers, inkers, letterers and colorists assigned to the titles they wrote freelance. I guess the idea was to create good books and lead by example. Roy was probably the most active manager of the bunch. He engaged the uber-weasels upstairs and won sometimes. He actually got them to allow the return of current artwork, among other things. He policed the creative work to some extent. He was, in some ways, an iron-fisted ruler. People think I was. Nah. I was a softie compared to Roy. Fear of angering Roy kept a lot of creators from being as self-indulgent, crazy or sloppy as they might have been. The rest of the EIC's pretty much kept their heads low. They wrote their own freelance, a couple of them on company time. Did they ever consult with John about which artists should be assigned to which books? Did they ever participate in the process? Of course. But by and large, what I have described above was the norm. They let John handle most of the heavy lifting as far as managing the books and the business. 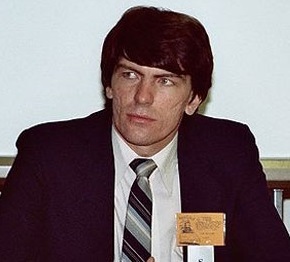 However accurate the above may be, it was certainly Jim Shooter's impression when he became EiC. And things changed under him very quickly, which gave him a reputation as a dictator. And while that reputation may have been deserved, he was exactly what Marvel needed after meandering through the 70s, when they turned out sloppy books and fill-ins very frequently. The quality of Marvel's books improves dynamically under Shooter. I should note that a lot of Jim Shooter's actions were under the direction of Jim Galton who was brought in by Marvel's owners, Cadence, in 1975 to turn things around.